A north Georgia white supremacist arrested last year for alleged possession of the deadly toxin ricin is no longer facing federal charges after a judge dismissed the case — on a technicality that exposes a regulatory failure. The huge problem here is that ricin is not the only agent that now, due to this error, falls outside the list of those proscribed from possession. Congress delegates the development and maintenance of the list of “select agents” to which this law applies to the Department of Health and Human Service for those agents that are human pathogens or toxins and to USDA for those agents that affect livestock or crops. The law also recognizes that some agents on these two lists will overlap, posing threats both to human and agricultural targets. As Story details in his order, Congress revised the underlying law in late 2004. The list of select agents at that time showed clearly that ricin fell squarely within the purview of the law. But just a few months later, in early 2005, HHS revised its list and in this process, the entire non-overlapping list of human agents suddenly moved to a differently numbered section as it was published. That section number is not listed in the language in the 2004 revision, and so in ruling that Gibbs did not violate the law in possessing ricin, he is in effect making the entire HHS non-overlapping list exempt from the law. That means that under his interpretation, possessing the worst of the worst of the human pathogens or toxins, including even smallpox, cannot be charged under this law. Whoever knowingly possesses a biological agent or toxin where such agent or toxin is a select agent for which such person has not obtained a registration required by regulations under section 351A(c) of the Public Health Service Act shall be fined under this title, or imprisoned for not more than 5 years, or both. Whoever knowingly possesses a biological agent or toxin where such agent or toxin is a biological agent or toxin listed pursuant to section 212(a)(1) of the Agricultural Bioterrorism Protection Act of 2002 for which such person has not obtained a registration required by regulations under section 212(c) of such Act shall be fined under this title, or imprisoned for not more than 5 years, or both. No restricted person shall ship or transport in or affecting interstate or foreign commerce, or possess in or affecting interstate or foreign commerce, any biological agent or toxin, or receive any biological agent or toxin that has been shipped or transported in interstate or foreign commerce, if the biological agent or toxin is listed as a non-overlap or overlap select biological agent or toxin in sections 73.4 and 73.5 of title 42, Code of Federal Regulations, pursuant to section 351A of the Public Health Service Act, and is not excluded under sections 73.4 and 73.5 or exempted under section 73.6 of title 42, Code of Federal Regulations. Whoever knowingly violates this section shall be fined as provided in this title, imprisoned not more than 10 years, or both, but the prohibition contained in this section shall not apply with respect to any duly authorized United States governmental activity. The problem is when we move to the current version of these lists, found here, the numbering for the sections is off when we look at the lists, we see that the entire HHS non-overlapping list is found in section 73.3 and not in 73.4 or 73.5. The agents found in 73.3 are the worst of the worst of agents feared as biological weapons. Even smallpox is on that part of the list, and so, by Story’s ruling, now excluded from prosecution. defmition[. ]” StanselL 704 F.3d at 915 filth Cir. 2013) (citing United States v.
Act, Congress changed the reference from “Appendix A of part 72” to Part 73.
section of the C.F.R. (§ 73.3) that is not referenced in 18 U.S.C. § 175b. language that may or may not have been excluded purposefully. We are not talking here about a single agent, ricin, being left off the list due to a clerical error. The renumbering left the entire HHS non-overlapping list of agents out of the referenced sections. How on earth could Story believe that Congress would suddenly decide, in early 2005, that the entire HHS non-overlapping list was no longer of concern? Granted, anthrax is on the overlap list and so is still covered under Story’s interpretation, but it should be pointed out that the Amerithrax investigation of the 2001 anthrax attacks was in full gear in 2005 in its march toward hounding Bruce Ivins to his death, so bioterror was a very high priority for Congress and law enforcement at the time of this reclassification. In fact, the boondoggle BioWatch program was launched in 2003 and so in 2005, the generalized fear of bioweapons was pervasive. Also, don’t forget the role of bioweapons in general in the Bush Administration run-up to the invasion of Iraq in 2003, complete with Colin Powell’s fake vial of anthrax. Further evidence of the government’s intent on the select agent list can be found when one looks for the list itself. For example, this listing clearly shows the government had no intent to exclude the HHS non-overlapping agents and cites relevant statutory authority. United States v. Lebowitz, 676 F.3 d 1000, 1012 (llth Cir.2012) (per curiam)). Interestingly, when I went back to look at one of my posts on James Everett Dutschke, who was charged with possessing ricin in Mississippi in 2013, I see that he was indeed charged under 18 U.S.C. § 175(a). The damage that Story has done in this ruling may not be limited solely to the HHS non-overlapping agents being left out of the law. Another aspect of the garbled re-numbering of sections is that § 73.5 is referenced as a list of proscribed agents. In reality, the section is headed “Exemptions for HHS select agents and toxins”. I would argue that this is further evidence of a simple error and not legislative intent, because it renders the bill unintelligible. Instead of a list of banned agents, it is a list of those that are exempt from the law due to their use in laboratories for diagnosis or research. Although Story does make passing reference to the differences among those agents that are on the list to be banned, those that are excluded and those that are exempt, I fear that opponents of biological research could latch onto Story’s ruling in an attempt to argue that shipment of these research or diagnostic samples could be prosecuted as bioterrorism. That could have a chilling impact on research to protect us from these very agents. Congress clearly needs to fix this mess, and fix it quickly. Simple language adjustment in 18 US Code§ 175b(a)(1) could restore the law to applying to the proper lists of agents while excluding or exempting those for which it is appropriate. In an electron microscope image that has been colorized, Ebola virus particles in blue are being extruded from an African Green Monkey kidney cell in yellow, grown in a laboratory cell culture system. Photo produced by National Institute of Allergy and Infectious Diseases, NIH. I had really hoped I wasn’t going to have to write this post. Yesterday, Marcy emailed me a link to a Washington’sBlog post that breathlessly asks us “Was Ebola Accidentally Released from a Bioweapons Lab In West Africa?” Sadly, that post relies on an interview with Francis Boyle, whom I admire greatly for his work as a legal scholar on bioweapons. My copy of his book is very well-thumbed. But Boyle and WashingtonsBlog are just wrong here, and it takes only seconds to prove them wrong. Shortly after getting the email and reading the blog post, I sent out tweets to this summary and this original scientific report which describe work on DNA analysis of Ebola isolated from multiple patients during the current outbreak. That work conclusively shows that the virus in the current outbreak is intimately related to isolates from previous outbreaks with changes only on the order of the naturally occurring mutation rate known for the virus. Further, these random mutations are spread evenly throughout the short run of the virus’s genes and there are clearly no new bits spliced in by a laboratory. Since I wasn’t seeing a lot of traction from the Washington’sBlog post, I was going to let it just sit there. I should have alerted last night when I heard my wife chuckling over the line “It is difficult to describe working with a horse infected with Ebola”, but I merely laughed along with her and didn’t ask where she read it. This morning, while perusing the Washington Post, I saw that Joby Warrick has returned to his beat as the new Judy Miller. Along with the line about the Ebola-infected horse, Warrick’s return to beating the drums over bioweapons fear boasts a headline that could have been penned by WashingtonsBlog: “Ebola crisis rekindles concerns about secret research in Russian military labs“. The fatal lab accident and a similar one in 2004 offer a rare glimpse into a 35-year history of Soviet and Russian interest in the Ebola virus. The research began amid intense secrecy with an ambitious effort to assess Ebola’s potential as a biological weapon, and it later included attempts to manipulate the virus’s genetic coding, U.S. officials and researchers say. Those efforts ultimately failed as Soviet scientists stumbled against natural barriers that make Ebola poorly suited for bio­warfare. The bioweapons program officially ended in 1991, but Ebola research continued in Defense Ministry laboratories, where it remains largely invisible despite years of appeals by U.S. officials to allow greater transparency. Now, at a time when the world is grappling with an unprecedented Ebola crisis, the wall of secrecy surrounding the labs looms still larger, arms-control experts say, feeding conspiracy theories and raising suspicions. Enhancing the threat is the facilities’ collection of deadly germs, which presumably includes the strains Soviet scientists tried to manipulate to make them hardier, deadlier and more difficult to detect, said Smithson, now a senior fellow with the James Martin Center for Nonproliferation Studies, a research institute based in Monterey, Calif.
“We have ample accounts from defectors that these are not just strains from nature, but strains that have been deliberately enhanced,” she said. 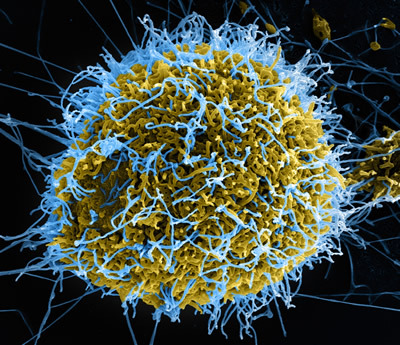 Ultimately, the effort to concoct a more dangerous form of Ebola appears to have failed. Mutated strains died quickly, and Soviet researchers eventually reached a conclusion shared by many U.S. bio­defense experts today: Ebola is a poor candidate for either biological warfare or terrorism, compared with viruses such as smallpox, which is highly infectious, or the hardy, easily dispersible bacteria that causes anthrax. 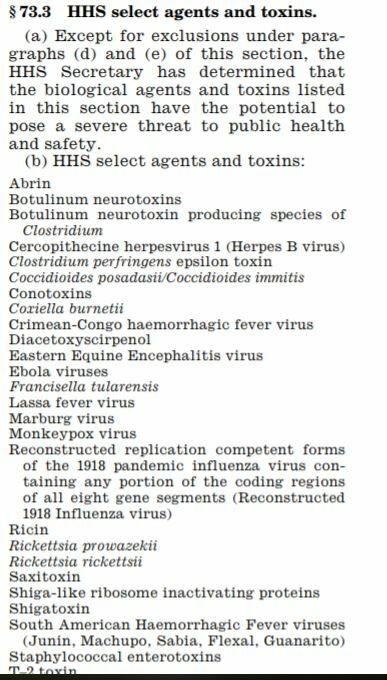 Note also that, in order to make Ebola more scary, Warrick completely fails to mention the escape of weaponized anthrax from a Soviet facility in 1979, infecting 94 and killing 64, dwarfing the toll from the two Ebola accidents. Today’s New York Times wants us to be very afraid because Samantha Power tells us that Syria may have failed to declare some of its chemical weapons (all declared category 1 materials have been destroyed) and those materials just might fall into the hands of the ISIS evil monsters. This is a very interesting development because now with ISIS as the most evil operator out there, the Syrian WMD’s that we have been fearmongering about now are scarier in the hands of ISIS than they are in the hands of Bashar al-Assad, whom many believe was responsible for the deadly August, 2013 sarin attack in Ghouta. The movement of chemicals and equipment in recent days — which initially spurred fears that Syrian officials were trying to hide parts of their stockpile — suggests instead that the weapons are being consolidated ahead of a first visit by inspection teams that arrived in the country last week, administration officials said. The activity has contributed to a cautious optimism among U.S. officials over the prospects for quickly dismantling the chemical arsenal. Syrian officials a week ago turned over their first inventory of chemical weapons and storage sites, a list that U.S. analysts described as detailed, although incomplete. The records have helped shed light on a sizable Syrian stockpile that U.S. officials say contains hundreds of tons of precursors for the nerve agents sarin and VX, as well as a surprise: ricin, a highly lethal poison derived from castor beans. Okay. 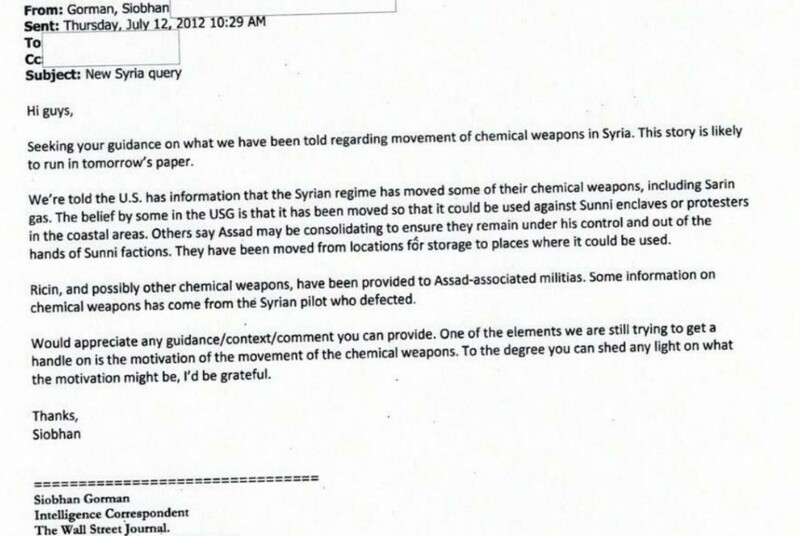 So this email takes place in July of 2012, just over a year before the Ghouta attack that used sarin. Last month’s alleged chemical attack near Damascus has re­focused attention on Syria’s 30-year-old biological weapons research and raised concerns about whether the government there could activate an effort to make a weapon. Really, Joby? Aside from those “intelligence officials in two Middle East countries” who fed you this material, has anybody else voiced a concern that Syria is contemplating use of bioweapons, or even could produce bioweapons if they wanted to? Syria’s bioweapons program, which U.S. officials believe has been largely dormant since the 1980s, is likely to possess the key ingredients for a weapon, including a collection of lethal bacteria and viruses as well as the modern equipment needed to covert them into deadly powders and aerosols, according to U.S. and Middle Eastern officials and weapons experts. Wow. the “US and Middle Eastern officials and weapons experts” guiding Warrick’s hands on the keyboard as he types are saying that despite not working on bioweapons for thirty years or so, they have the deadly organisms and equipment that would be needed to make “deadly powders and aerosols”. Whatever Should We Do About These New Biotechnology Capabilities? 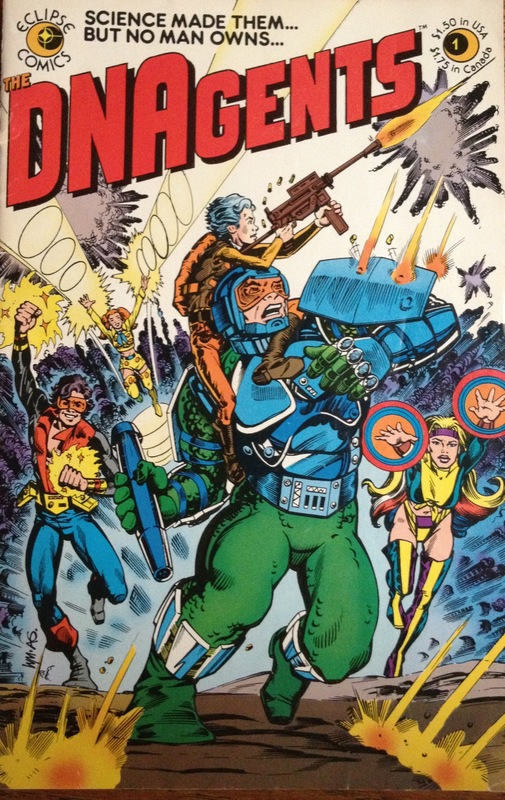 I’ve held onto this nifty comic for 30 years, knowing it would come in handy some day. My high school days were filled with intrigue and controversy at the national level. On the political front, the Watergate scandal was playing out, with Nixon resigning in the summer between my junior and senior years. Another drama was also playing out at that time, but I only became fully aware of it a few years after its most dramatic events. In July of 1974, only a month before the Nixon resignation, a remarkable publication (pdf) appeared in the Proceedings of the National Academy of Sciences. First, the paper is remarkable for its lack of an author byline. The members of the committee who authored the publication are listed at the very end. More remarkable still is that the publication marked the announcement of a voluntary moratorium by biological scientists. Several types of constructs using newly developed gene-splicing capabilities would not be attempted until the group had more fully studied the risks involved and come up with a plan for mitigating these risks. Just under a year later, a follow-up publication (pdf) in the same journal appeared. This time there was an author list (and they finally let a woman join the authors–Maxine Singer had been involved in the discussions all along but was not listed in the 1974 paper). The risk mitigation strategy proposed in this paper has set the stage for the bulk of the work with recombinant DNA that has followed (and which allowed me to get a PhD in Molecular Biology in 1983). In the 1975 paper, Paul Berg and colleagues described a graduated level of biological and physical containment of organisms generated in recombinant DNA experiments, with the level of containment based on the relative risk perceived for the new DNA combinations that were being generated. It should be noted that the concept of working with dangerous biological organisms was not new at all. Infectious diseases have been studied throughout the history of medicine and so the concept of biological containment of dangerous pathogens was not new to these scientists. They relied on these established practices of containment, which have continued to evolve into the current containment guidelines such as those published by the Centers for Disease Control (pdf) for containing pathogens. Work with recombinant DNA took off quickly once the moratorium was lifted and a number of wonder drugs are now in use through this technology. Engineered plants are also in widespread use in agriculture, but implementation at least in the case of Bt corn has been mismanaged to the point that resistance is beginning to break out. 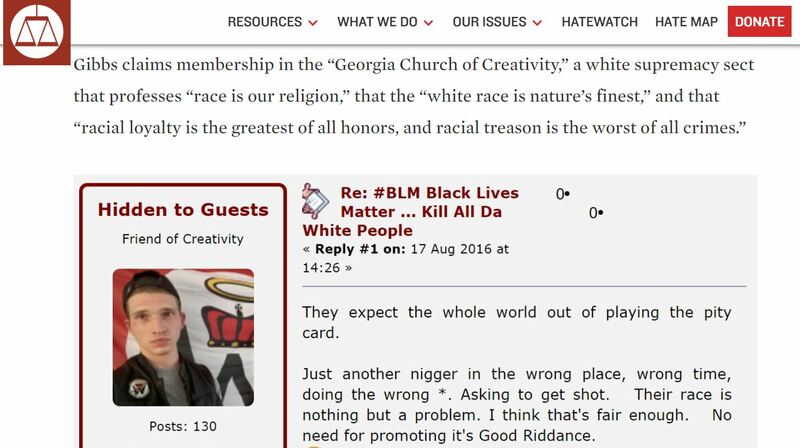 https://www.emptywheel.net/wp-content/uploads/2016/07/Logo-Web.png 0 0 Jim White https://www.emptywheel.net/wp-content/uploads/2016/07/Logo-Web.png Jim White2013-07-16 10:44:522013-07-16 10:44:52Whatever Should We Do About These New Biotechnology Capabilities? There is no higher priority than the security and safety of the American people. Since the 1980s, when President Ronald Reagan began the modern hunt for defenses against long-range missiles, Washington has spent more than $200 billion devising ways to hit incoming enemy warheads that move at speeds in excess of four miles per second. Critics have long faulted the goal as delusional, saying that any country smart enough to make intercontinental ballistic missiles could also make simple countermeasures sure to foil any defense. We’ve intensified security at the borders and ports of entry, posted more than 50,000 newly trained federal screeners in airports, begun inoculating troops and first responders against smallpox, and are deploying the nation’s first early warning network of sensors to detect biological attack. I thank the Congress for supporting these measures. I ask you tonight to add to our future security with a major research and production effort to guard our people against bio-terrorism, called Project Bioshield. The budget I send you will propose almost $6 billion to quickly make available effective vaccines and treatments against agents like anthrax, botulinum toxin, ebola and plague. We must assume that our enemies would use these diseases as weapons, and we must act before the dangers are upon us. The monitoring system that is now BioWatch is rife with problems. David Willman of the Los Angeles Times has continuously documented the many problems with and failings of BioWatch. He has informed us of the extremely high false positive rate from the currently deployed version of the system and has followed in real time the failures as DHS has forged ahead in purchasing the next generation of the technology before it is ready.